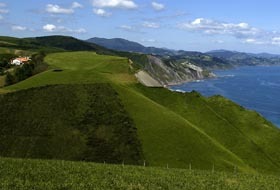 In 2002 the Basque Government introduced the Basque Environmental Strategy of Sustainable Development, a plan establishing the bases of a new model of socio-economic progress until the year 2020. The objective of this plan is to define and defend the future model of development in the Basque Country characterised by the consolidation of a balanced, representative environmental system. Hence, the Basque Environmental Strategy of Sustainable Development, which has two of its main pillars in sectoral integration and cooperation between public institutions and social agents, is making remarkable progress. One of the means that the Basque Government has to develop said strategy is the Publicly Owned Environmental Management Agency, IHOBE, a consolidated company in the field of environmental management and protection, which constitutes its executive arm. The Basque country has been the first to set in motion systematic Voluntary Sectoral Agreements with Industry, directed at improving the environmental behaviour of companies in the involved sectors. It must also be added that it is the European country with the highest number of companies certified through the ISO-14001 system in relation to gross domestic product; and what's more, the existence of an important environmental industry cluster stands out, ACLIMA, as well as the creation of the IZAITE Association by a group of leading Basque companies to promote sustainable development. Euskadi co-chairs, alongside Western Cape (South Africa), the Network of Regional Governments for Sustainable Development - "nrg4SD" - an institution which has become a reference with its own voice as far as related supranational and international entities are concerned. In fact, Bilbao has been chosen as one of the two permanent headquarters, with the other in the US city of West Virginia, and will therefore every two years house the International Conference on the Exchange of Industrial Recycling Information and Practices. nrg4SD - Network of Regional Government for Sustainable Development. BC3 - Basque Centre for climate change.